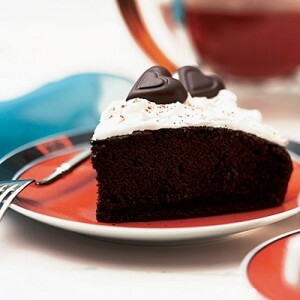 Chocolate Midnight Cake recipe by Zahrah Hamayun Alvi at DesiRecipes.com. Sift together cocoa, flour, baking powder and a pinch of salt . Beat eggs well and keep aside. It is really very nice,yummmmy. can i ask a silly question... what size of cup?? or can it be any?? I love this recipe and highly recommend it! It turned out perfectly and doesn't need any topping to be absolutely bliss. I hope you enjoy this as much as I did!